Miscarriage is not a bad word, its okay to talk about. Today I am strong enough to share my experience. 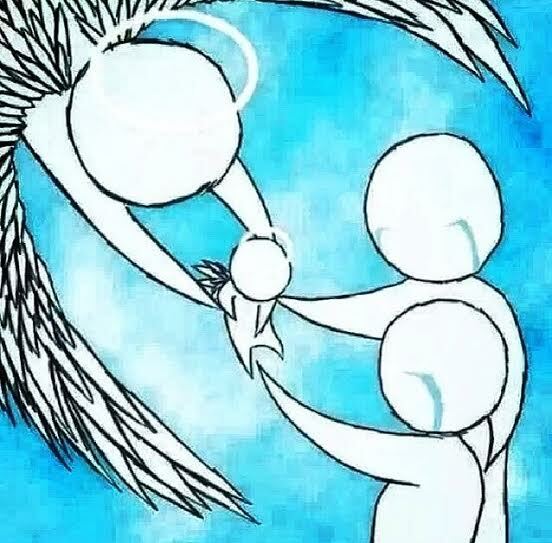 …I’ve known of women who had miscarriages, and although I felt horrible for their lost I never knew the depth or the extent of child loss until February 11, 2014. . .
January 29, 2014 was a beautiful chilly morning. The little guy and I woke up to snow! Lots of it! I was so excited! It was his first snow! Sure it’d snowed when he was an infant but that didn’t count right? Right! THIS was his first snow! I was soooo thrilled! 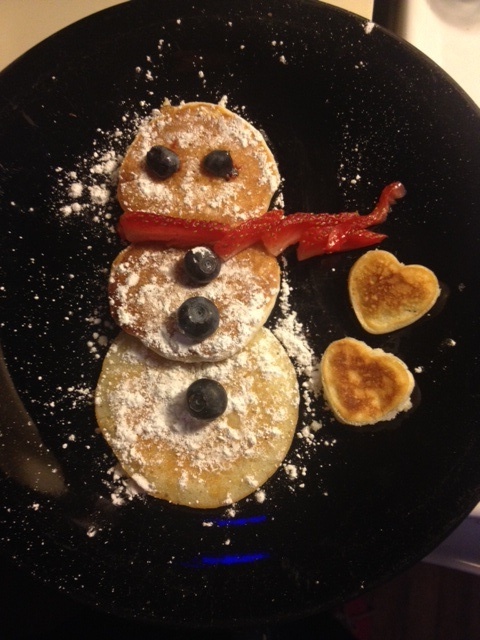 I went into the kitchen and started preparing him “snow man” pancakes. I love food art and creating fun toddler meals for my sweet boy. 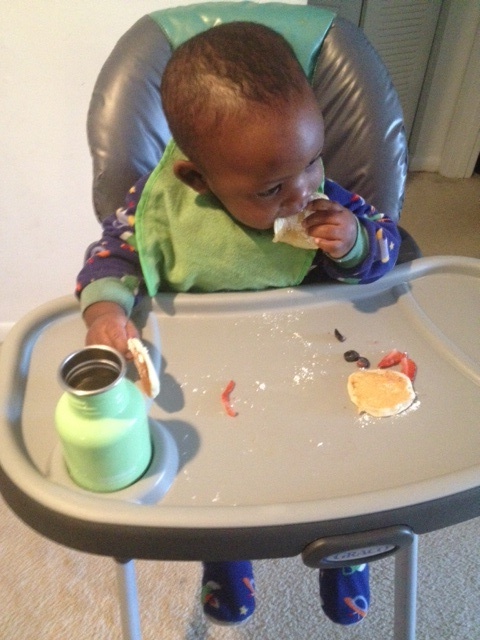 Matthew demolished the pancakes! 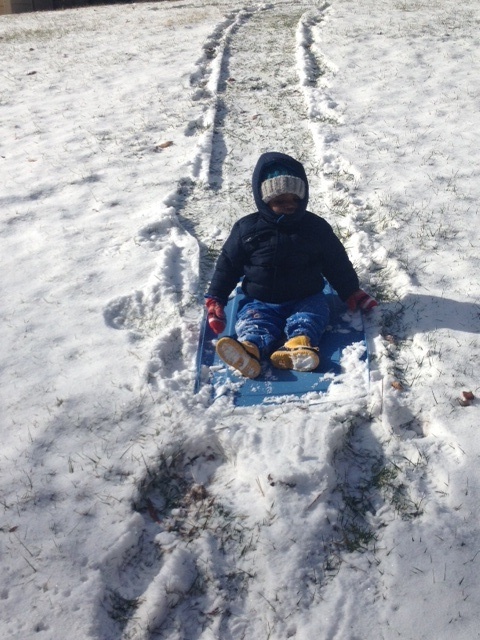 I quickly suited him up, making sure to have at least two layers under his snow suit and we were off! He had such a good time playing in the snow! 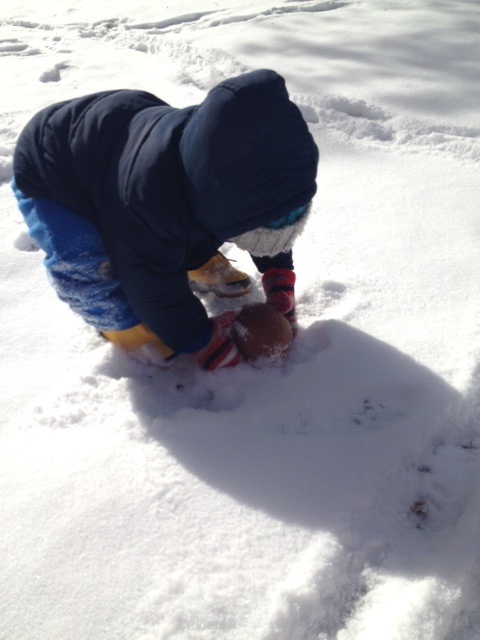 I tried and tried to get him to say snow but he just kept pointing at it and laughing. Ha! 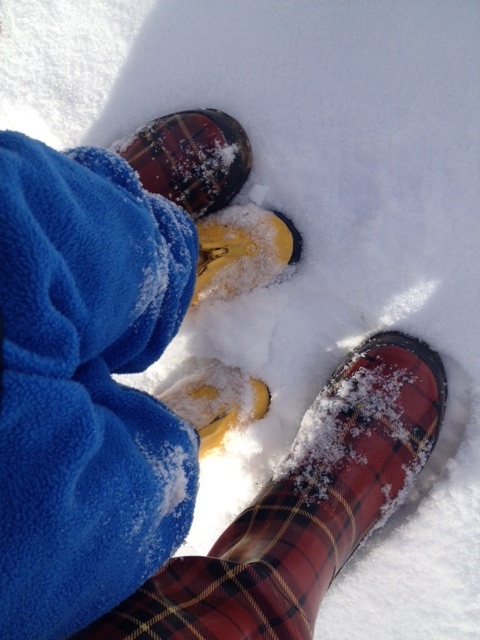 We stayed out in the snow for hours sledding down a hill with a storage bin top, throwing the football back and forth, running around and looking back at our footprints, etc. Too much fun! I captured some amazing pictures for our scrapbook! We returned home for lunch, I prepared PB&J sandwiches and warmed some HM veggie&chicken soup. We were both happy to be inside and warm! Matthew fell asleep while cuddled up in my arms, I sat admiring the precious child God has given me for a moment, its nice to stop and take it all in. Finally I laid him down and sat down to complete a few homework assignments. I thought to myself, “have I had my period this month?” Here it was the 29th and no cycle. My cycle is regular! Since the first day I got my period I NEVER missed one! 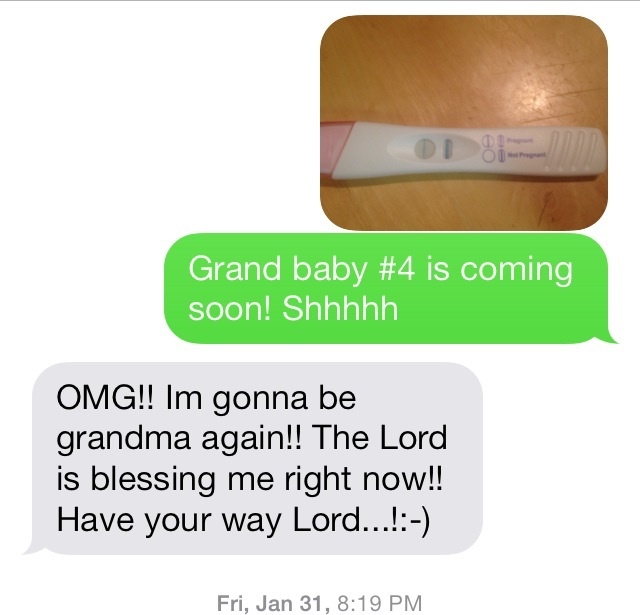 (except when I was pregnant with Matthew, of course) My suspicions went into high gear! However, I stayed focused and took full advantage of Matthew’s nap time completing one assignment and half of another. 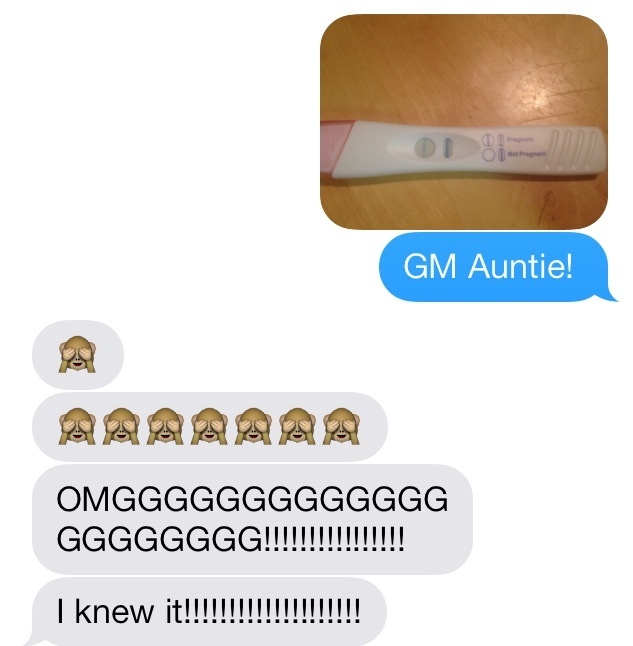 I didn’t think about the possibility of me being pregnant again until I talked to my Husband via text later in the day. 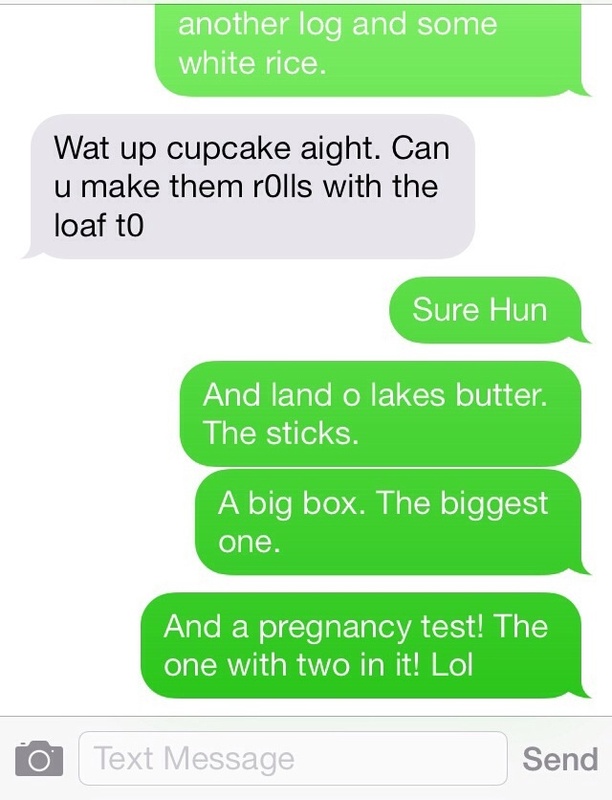 He texted me asking for items I would need from the store to complete dinner and towards the end I playfully included a pregnancy test. As soon as he arrived I asked for the test! 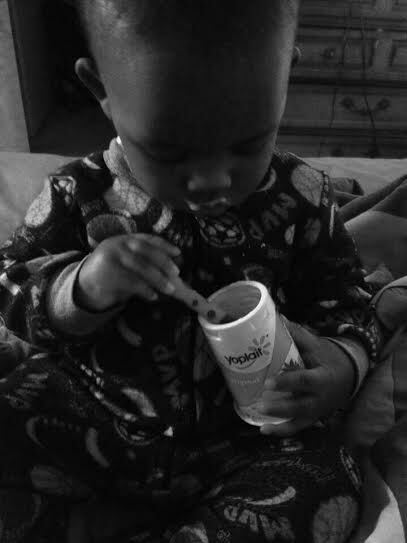 I secured big man in his high chair, gave him Cheerios and ran in the bathroom. Ripped open the test read the instructions and called for my Husband. I followed the instructions and placed the test on the edge of the bathtub. It was turning blue super FAST! I YELLED! “We’re pregnant!!! 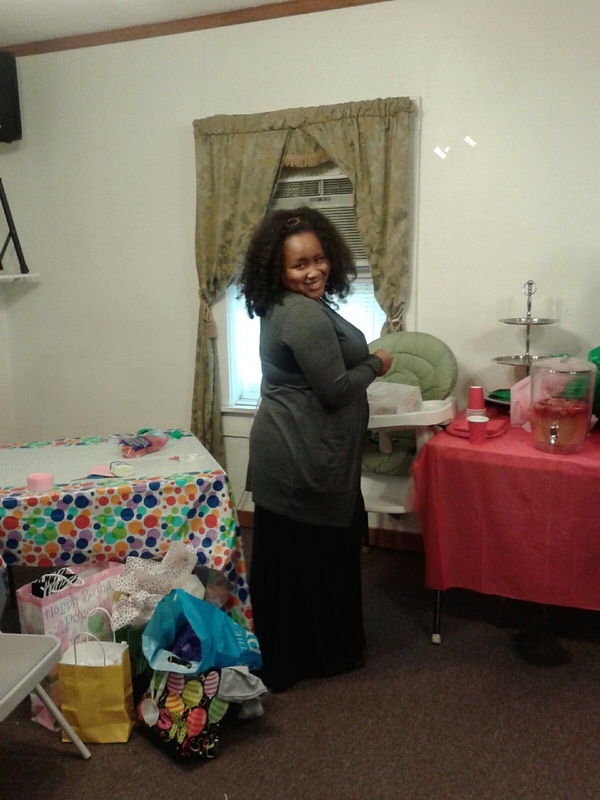 !” We embraced and were truly happy for this new addition! Since December I’d been saying I was going to be pregnant in 2014! Little did I know I was ALREADY pregnant! According to calculations I had conceived in early January! What a way to bring in the new year, huh? Ha! I was excited! This was truly a surprise! No, we were not “trying” to get pregnant but we’ve never ever tried to prevent pregnancy. We’ve never felt it was up to us when we should have children, that is in God’s hands! His Will be done! The remainder of the day Matthew’s name was “Big Brother” thats all Hubs would refer to him as! It was so adorable! The days events were a Cathey Clan moment to remember! Our regularly scheduled Service was cancelled due to the snow, so we had dinner spent QT and put the little one to bed. We stayed up late that night chatting about what was to come and making preparations. We discussed where we would have the baby and who would deliver. We discussed our birth team options and agreed our beloved Birth Doula Jennifer would have to be there, no question! It was a joyous occasion, the Lord was blessing! I was so thrilled I could hardly stand it! I immediately informed our immediate family. My Mom & His Mom. My Sister & His Sister. Cautioning them to keep the awesome news to themselves. As we had agreed to keep it hush-hush until I was done with my first trimester. As I was only around 5 weeks. My Mom, of course, was the most excited of them all! They were ALL overjoyed! It was so unreal! I loved being pregnant with my eldest and was totally up for doing it all over again! Especially with the awesome support team I have in my corner! I continued on with my daily routine as if nothing happened. Here and there I would make note of things I would need for the house to help me get along better the more and more pregnant I became. We got a new baby gate so that I wouldn’t have to hop over the previous one we had. We switched sides of the bed so that Hubby could pick up big guy if he woke up during the night. Hubby didn’t want me doing too much lifting. We immediately revamped our quest to find our dream home and purchase a family vehicle. I wasn’t to wear our 26 pounder unless it was absolutely necessary, Gerald was too afraid it would hurt the baby. I informed him that it wouldn’t as long as I had his weight distributed properly. I started wearing the belt to my Tula above my waist line and directly below my bust line. In the babywearing world this would somewhat be a dead give away but; what was I to do? Hubby’s orders! A new living room set was in order! I struggled with how low our current set is when I was pregnant with Matthew, I did not want to have to go through that again. I set up appointments to interview a few Midwives and OBGYNs at Wendover OBGYN, Central Carolina OBGYN, & Natural Beginnings Birth & Wellness Center! I wasn’t sure if I wanted to continue with my current OB and wanted to see if I’d find a better fit with some other providers here in the area. I’d already talked to one of the midwives that worked at CCOBGYN via a VBAC support group and came to love her! I was almost sure I was going to go with her practice and was growing more and more excited. When I was pregnant with Matthew I had this glow to my skin! Can you say GLOW WORM! Everyone noticed and commented on it. One of my brothers often asked me if I had gotten or tan or had bronzer on, I’d just laugh. My Mother often told me how beautiful I looked pregnant and I couldn’t help but agree! I never felt more beautiful in my life! 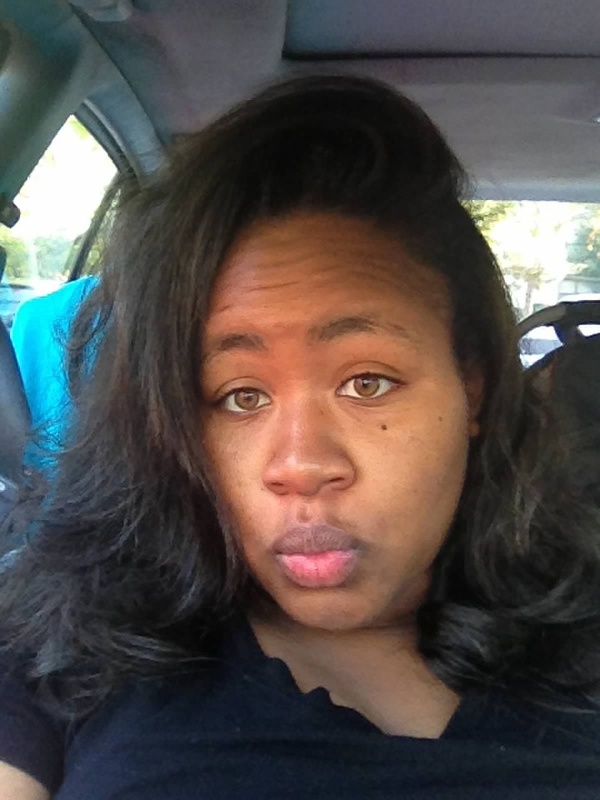 My skin started to glow so early on during this pregnancy! 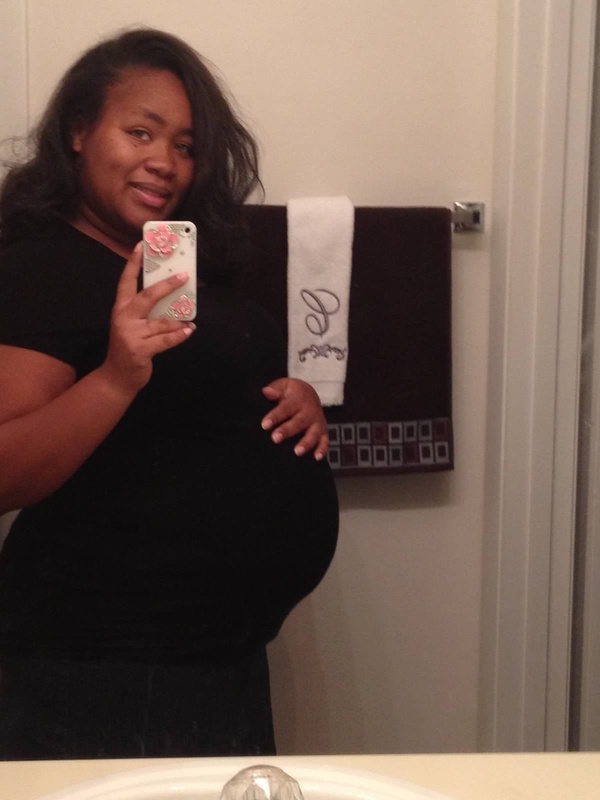 My breast swelled and I LOOKED pregnant! People would randomly ask me if I was pregnant! Leaving me at a lost for words and relying on using word play to get out of answering the question. HaHa! I would say things like “What would make you ask something like that?” “If I were pregnant you would know” or “Are you calling me fat?” Ha! I’d always get out of answering and wonder if I would be able to hold out on letting the cat out of the bag. I felt I was too early on to say anything! 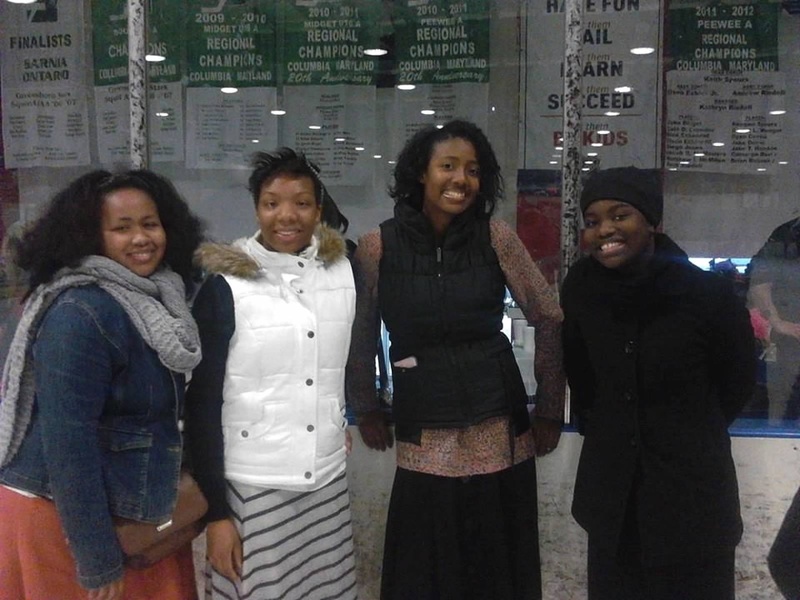 Out ice skating with my Sister’s in Christ. 6 weeks. My energy level immediately took a hit! I was so tired; DOG tired! Like not able to do a thing! I talked to my Husband and my Mother about it. We all decided that my iron was probably really low, especially considering that I’ve had problems with it in the past. I added an iron supplement along with my prenatal vitamins and I was back to myself within a week! Sunday February 9th after a wonderful service I rode down to Townsville, NC to visit with family members and celebrate my two little cousins accomplishments in college! Since the gang was all together I used the opportunity to inform my extended family of the news! My Grandmother was so happy! She gave so many kind and uplifting words. She told me how proud of me she was, how wonderful of a Husband I had and the awesome job I was doing as a wife and mom. She encouraged me and told me that I would do well. I was so happy I told her. I could use all the kind words and encouragement I could get. Having one child is enough! Two? I just knew it would be a challenge! Everyone congratulated me and were anxious to get their hands on another little squishy! We all love babies in my family! A few made comments about me pulling out my breast again to breastfeed my baby. Of course I responding accordingly! “I sure will be so prepare yourself!” Ha! Tuesday February 11, 2014 I woke up around 8am to spotting. I’d never had spotting with my first pregnancy but had heard of some women who did. My first assumption was implantation bleeding and I paid it no mind. Around 10 am I was still bleeding and it was getting heavier and more bright red each time. I started to worry. I said a quick prayer and put on a liner and kept on with my day. My Mom calls me everyday on her lunch break around 12:30pm during our conversation I informed her of my bleeding and she got really quiet. This alarmed me. She asked me to keep a watch on it and if it continued to get any worse I needed to go to the ER. I agreed and hung up with her and called my Husband. Trying to remain positive he told me to calm down and get in bed and rest. I did just that. Around 2pm I was still having bleeding. I went to the rest room and there was soooo much blood that it all rushed out when I sat on the toilet. In tears I called my Husband frantic and told him that the bleeding was not stopping and that we needed to go to the ER. On a normal day it takes my Husband about 20-30 mins to get home! He was coming in the door 15 minutes after my phone call! He moved with urgency with getting big guy dressed and we were out the door in 6 minutes! Sitting in the emergency room at the Women’s Hospital I felt dead inside! “Why am I here?” “What is going on?” “Is my baby ok?” “What is the meaning of this?” These were the thoughts plaguing my mind! Unbeknownst to us the hospital was under “quarantine” and wasn’t allowing persons 18 or younger inside of the hospital because of the recent flu outbreaks. This meant that our dearest Matthew was not allowed inside of the ER or waiting room. My Husband had to leave and take Matt out forcing me to be there alone. I wanted to break down, but something inside of me just would not let me. If I did, then what? What would change? — I felt a strong desire to sing, I began singing a melody of songs in my head and began texting my Doula. I informed her of where I was and what was going on. She immediately went into “what do you need me to do mode”. She was livid that I was forced to be there alone and asked if I wanted her to come so that I wouldn’t be alone. I told her that if she was able I would really appreciate it. Shortly after my Husband called to let me know he was on his way back. My first response was “but where is Matthew!? ?” He’d gone over to my Pastor’s house. After informing him and his wife of what was going on they instructed him to go come back to the hospital because he needed to be with his wife, they’d keep Matthew until we were done. I was so relieved and felt so blessed to have them! After hanging up I quickly called Jennifer, I let her know that my Husband was on his way back to the hospital and that she didn’t need to cancel any of her appointments. She gave a sigh of relief and told me to text her every hour with an update and that when she was done with her appointments if we were still in the ER she would meet us there. I agreed. I was assigned to a room finally and waited there for the midwife for what seemed life forever, Hubs and I were quiet. There was an awkwardness between us. We were both scared and unsure of what was going on. 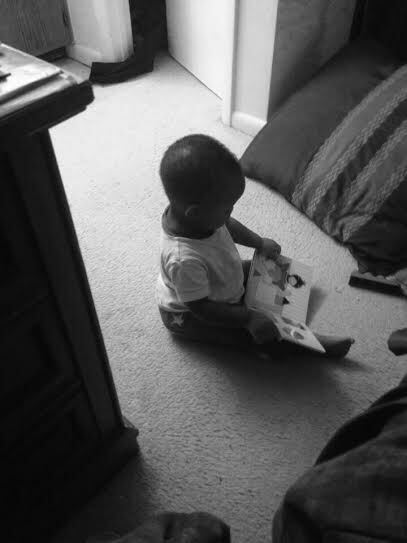 He sat reading from a magazine and looked up every 10 minutes or so to ask if I was okay. 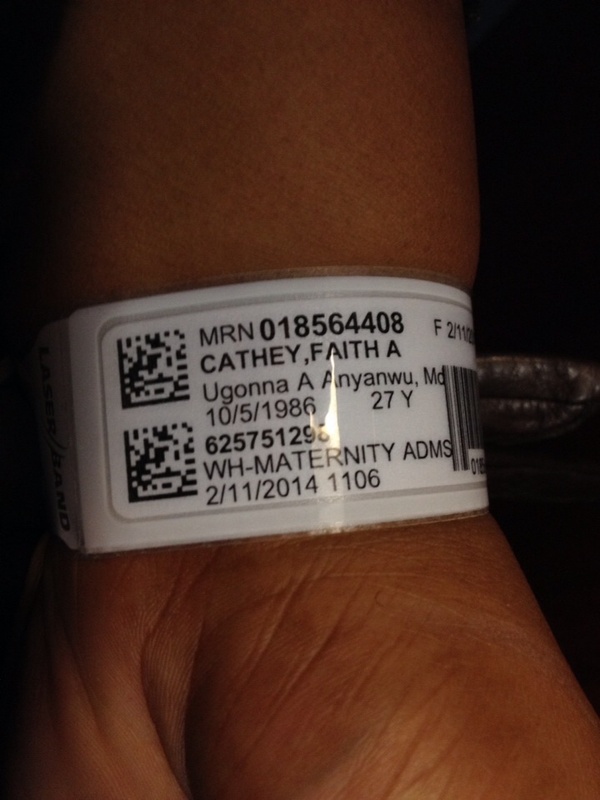 I sat staring at the ceiling praying and seeking God’s mercy on behalf of my unborn child. Little did I know my Husband was praying, too. This explained the silence. The midwife finally came in and began examining me, she asked an array of questions and made me aware that my HCG levels were pretty low for me to actually be 8 weeks. With a HCG level of 264 I was either miscarrying or not as far along as I had suspected. 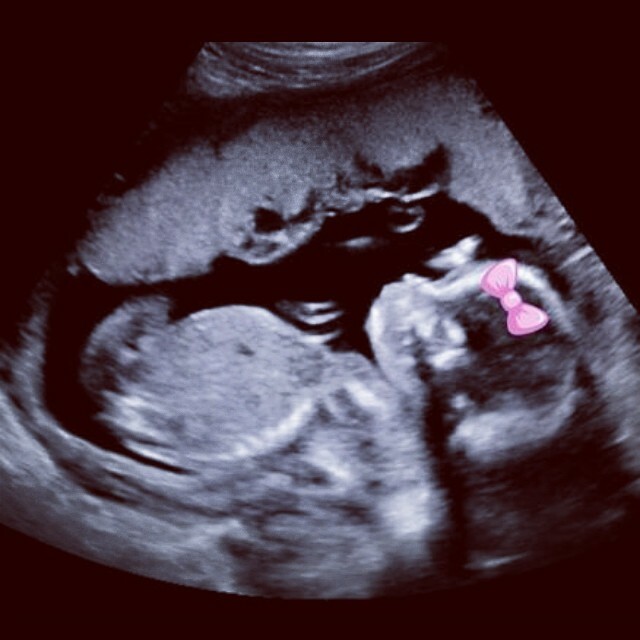 The only way to be sure was to have an internal ultrasound done. 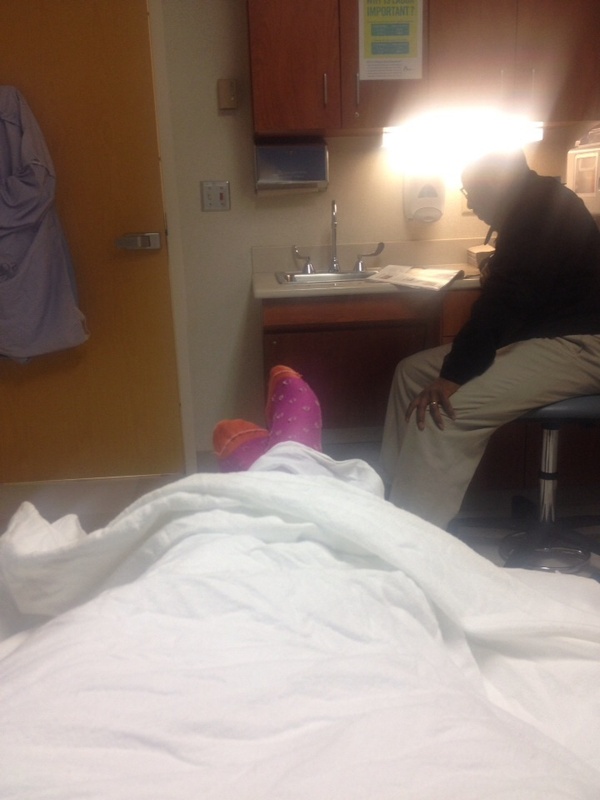 I was told to remove all clothing and change into a gown provided by the hospital and was taken to ultrasound. The sonographer got started with the ultrasound, she inserted the probe (which was horrible! I do not ever want to have to do that again) and began to seek the little one growing in my womb, I refused to even look at the screen. Later we learned from the midwife that she saw nothing, not even a sac. Learning this I was sooo devastated! In my mind that equalled no baby and a definite miscarriage! The midwife still had hope! After one last exam to assure I was not have an atopic pregnancy she gave me instructions on what it is I should and should not do when I returned home. She instructed me to follow through with my intake appointment with CCOB and return to the ER on Friday. Hand in hand we left the ER and travelled to get our precious boy after getting something to eat. I retrieved my son from Mother Williams and prepared to return home. Before leaving she gave me kinds words and lots of encouragement! My Mom left the next morning, her and my Husband both had to return to work. It was just Matthew and I. He was an angel. The perfect angel. Mother Williams (First Lady of our Church) always taught us that children can sense when their parents are ill. This day proved that fact! Matthew self entertained all day long. Over all he is not a needy child anyway but he truly did not call on my for anything that day! 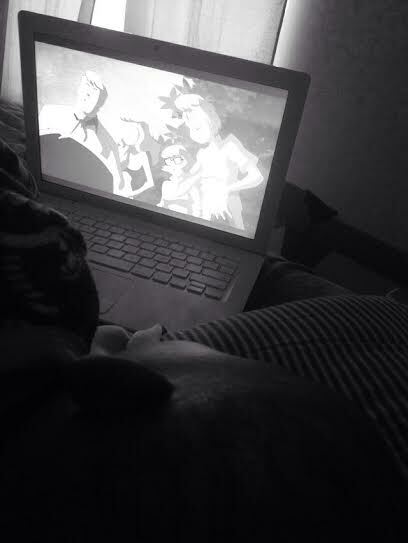 He ate when I got up to feed him and he sat and read books, looked at his shows on Netflix and chilled allowing Mommy to rest! It was amazing! As soon as his Father hit the door his whole demeanor changed! It was if he was if he knew Mommy needed time to rest. I was so thankful for our special little bond! Probably one of the longest days of my life. Today was the day I would return to the Women’s Hospital to find out if my HCG levels had increased or if I was in fact miscarrying! I rested most of the day, only getting up to attend to my Matthew. The time arrived when Hubby would leave work and return home to get Matthew and I. We loaded the car and headed over to my sisters house where my Mother was. We dropped off our little guy and headed over to the hospital. Once in the parking lot Gerald took me by the hand and we began to pray. Walking up to the entrance everything seemed to be in “slow motion”. We checked in and took a seat, the olympics were on and it was a nice way to have “normal” conversation with each other and escape the situation at hand for a while. With tears in his eyes Hubby led me through the lobby, we held our heads high and went out of the door way without drawing attention. When we got to the car we shed tears together and offered comfort to one another. We journeyed back to my sisters house where we shared the troubling news. My sister was distraught and had a hard time coping. My Mother was solid as a rock! She embraced us both and told us everything works according to God’s perfect Will. She encouraged me to be strong. To exercise my faith and trust God’s plan. We gathered our things and our son and headed home. I bled out for 4 more days until finally the bleeding stopped. February 18, 2014 was the day I finally passed the last bit of tissue and the bleeding stopped. It was such great closure! A few weeks went by and I was still unable to speak about babies, pregnancies or the such like. Whither it was mine or someone else’s I just couldn’t. Not that I didn’t want to, there were numerous women in my circle who had recently delivered or were pregnant. When I tried I would involuntarily have an emotional response and it let me know that I just wasn’t over it yet. I wasn’t willing to have an outburst or a break down in front of an audience. I saved my emotional melt downs for my Jesus and my Husband. They were the only reasons I got through this thing! Many days spent praying and crying and praying and crying! Many nights spent being consoled and pouring out my heart to my Husband. Weeks passed and then finally something clicked! 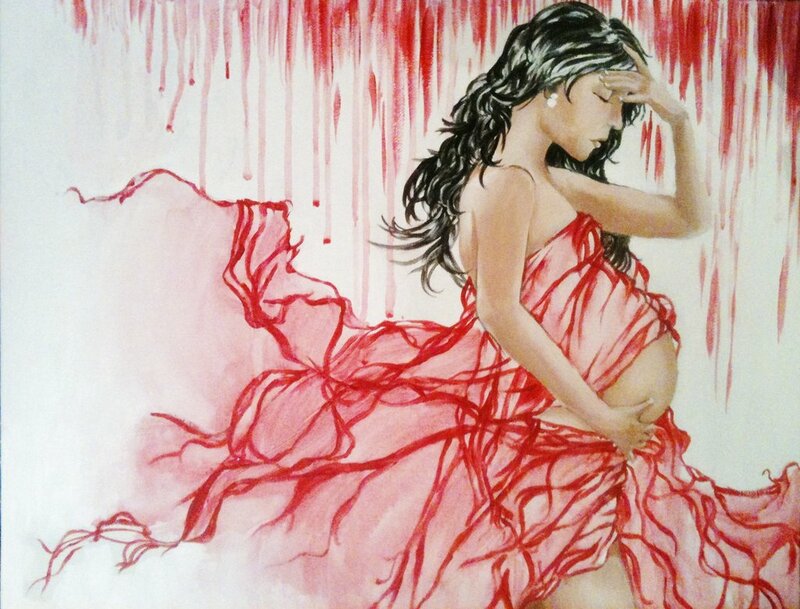 I drew strength from sharing my story with people who felt that they could not get past a miscarriage. I found myself being thankful to God that He thought that I was strong enough to endure such a battle and survive! I did JUST that! I survived! This was a simple test! It question of my faith! Would I falter? Would I curse God? Question His will and His way? I thank God for the Holy Ghost abiding on the inside of me which grants me a special connection to Him! I carried on! I held my head up! I pressed my way! I went to each service and I praised God for being who He is! God giveth and God taketh away! I’m no more special than any other saint that God gives His love to! I must go through! How else would I ever be able to help others if I never went through anything myself? Experience is the best teacher! Somebody has to be a witness that God can bring you through tough situations such as this! I was so glad I never lost my joy! Sure I was sadden, sure I was hurt but I never lost my joy! I share this story with others from time to time as it comes up and I always get the same response: ” Whhhhatttt? When? Wait! Huh? I would have never known! You sure didn’t show any signs!” I always get happy when I hear that! It let me know that I am a lot stronger than I ever imagined myself to be! Getting put in such a tough spot. Feeling as though you’ve been given a tough pill to swallow and not knowing how you’ll make it through! I’m so thankful for my Mother, who taught me how to pray! Boy did I PRAY! Goodness! This situation brought me that much closer to God! I needed him every second of the day to get through this! I’m thankful that I am in the position to call on Jesus and He’ll answer! THIS is a beautiful part of my life’s testimony! How I overcame miscarriage!